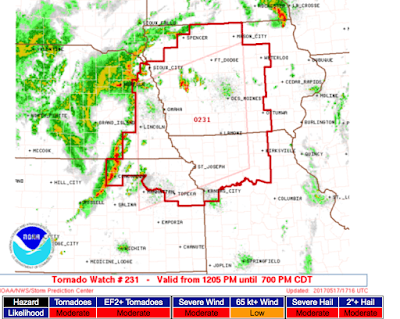 The NWS has issued a large tornado watch from northeast Kansas up to the Iowa-Minnesota border. 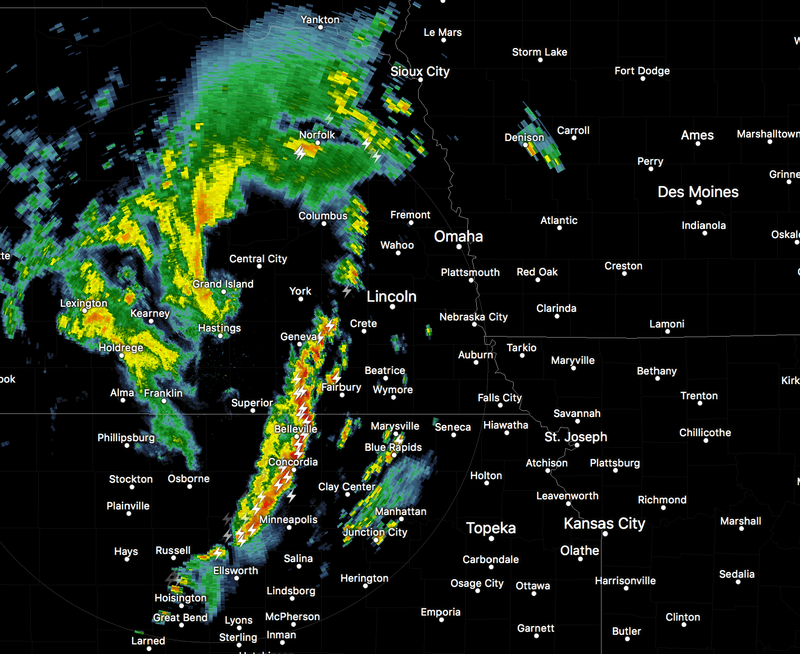 Strong thunderstorms have already developed (see image below). 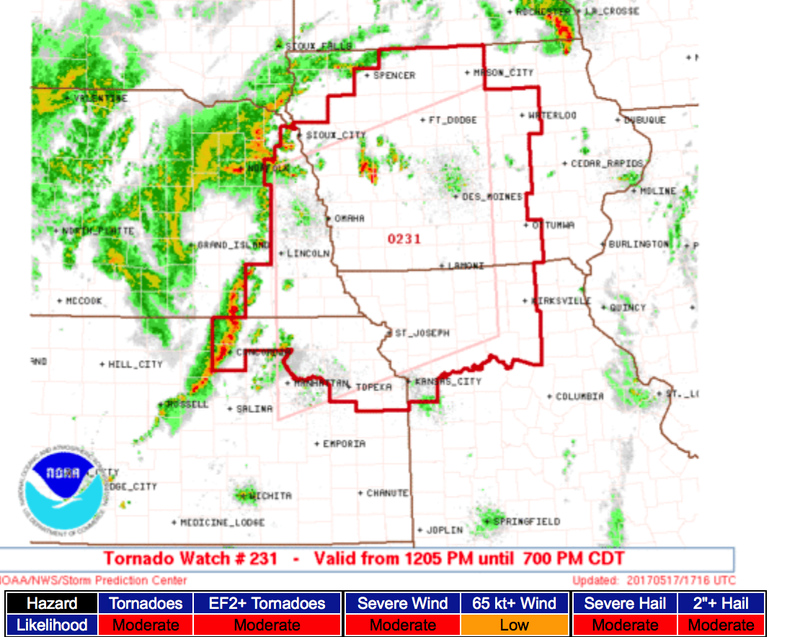 Note there is a "moderate" chance of strong tornadoes. I urge you to monitor the latest weather information as the first approach of a thunderstorm. Below is the radar from 12:20pm CDT 5-17-17.